and guarantees each piece for 180 days from the date of purchase. 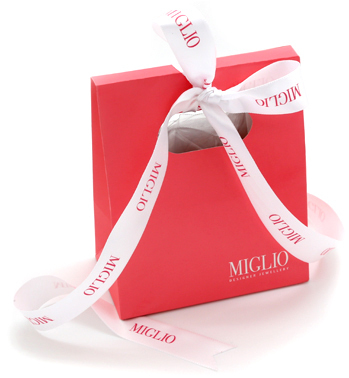 Miglio guarantees that our jewellery is perfectly processed and each item is carefully checked by our quality department. Notwithstanding our guarantee, should any item be found to have a defect, in addition to a customer’s rights or remedies under any applicable law in relation to the jewellery (including the Australian Consumer Law (“ACL”)), we will repair or replace the defective item at our cost (except for the costs incurred in forwarding the item to us), provided the item has not been damaged as a result of excessive wear and tear, improper treatment or non adherence to cleaning and care advice. In addition to, and running concurrently with the guarantees that cannot be excluded under the ACL (detailed below), customers wishing to claim on our express guarantee must return their item to us within 180 days, or within 90 days in the case of the leather products, together with proof of purchase. Customers must return their claim item to us via registered post. Address - Miglio Australia Pty Ltd, P.O Box 992, Balcatta, WA, 6914. Telephone - 08 9240 8669. Our goods come with guarantees that cannot be excluded under the ACL and customers are entitled to a replacement or refund for a major failure and for compensation for any other reasonably foreseeable loss or damage. Customers are also entitled to have the goods repaired or replaced if the goods fail to be of acceptable quality and the failure does not amount to a major failure.